If you need of a new muffler, brake pads, or another Honda part, Honda of Greeley can provide you with what you need at a discounted price thanks to our parts specials. 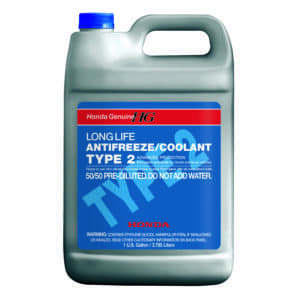 Find a genuine Honda OEM part that are tailor-made for your vehicle. Explore our current parts coupons here, and then contact our Parts Department to get help installing your new part on your Honda car in Loveland. When your customers purchase a set of four (4) select General passenger tires they may be eligible to receive up to a $70 General Tire Visa Prepaid Card by mail-in rebate. Offer valid on tires purchased at an authorized dealer, and picked-up or installed between 12:00 a.m. EST March 1, 2019 and 11:59 p.m. EDT April 30, 2019. Offer valid only with qualified purchase made in the 50 U.S. States, District of Columbia, and Puerto Rico including APO/FPO addresses. When your customers purchase a set of four (4) select Bridgestone tires they may be eligible to receive a $70 Bridgestone Visa® Prepaid Card after mail-in rebate. Offer valid on tires purchased at an authorized dealer, and picked-up or installed between 12:00 a.m. EDT April 4, 2019 and 11:59 p.m. EDT May 6, 2019. Offer valid only in the 50 United States and the District of Columbia (includes APO/FPO addresses) while supplies last. The offer does not apply to Canadian residents. Void in PR and where prohibited. Must be 18 or over. When your customers purchase a set of four (4) select Dunlop tires they may be eligible to receive $75 by mail-in rebate. Offer valid on tires purchased at an authorized dealer, and picked-up or installed between 12:00 a.m. EDT April 1, 2019 and 11:59 p.m. EDT April 30, 2019. When your customers purchase a set of four (4) select Goodyear tires they may be eligible to receive up to a $100 Goodyear Prepaid Mastercard Card by mail-in rebate. Offer valid on qualifying tires purchased at an authorized dealer, and picked-up or installed between 12:00 a.m. EDT April 1, 2019 and 11:59 p.m. EDT June 30, 2019. When your customers purchase a set of four (4) select Hankook tires within the same pattern they may be eligible to receive up to $60 by mail-in rebate. Offer valid on tires purchased at an authorized dealer, and picked-up or installed between 12:00 a.m. EDT April 1, 2019 and 11:59 p.m. EDT May 5, 2019. Offer valid in the United States and Puerto Rico only (includes APO/FPO addresses) to retail consumers and is not valid where restricted, taxed or prohibited by law. This offer does not apply to Canadian residents. When your customers buy a set of four (4) select Yokohama tires they may be eligible to receive up to a $100 Yokohama Visa® Prepaid Card or Visa Virtual Account. Tires must be purchased at an authorized dealer, and picked-up or installed between 12:00 a.m. EDT April 1, 2019 and 11:59 p.m. EDT April 30, 2019. Offer valid only for legal US residents physically residing in the 50 United States and District of Columbia including APO/FPO addresses. Have a broken Honda key??? Prices subject to change. Valid at Honda of Greeley only. Over the Counter Only. Does not apply to all vehicles. Supplies limited. Prepare for the summer heat!!! On Sale!!! Reg. Price $ 21.99 – On Sale for $ 16.99 – 50/50 mix – Just pour in to overflow tank. Over the counter only. Prices subject to change. Valid at Honda of Greeley only. Over the Counter Only. Supplies limited. On Sale!!! Reg. Price $ 21.99 - On Sale for $ 16.99 - 50/50 mix - Just pour in to overflow tank. Over the counter only. 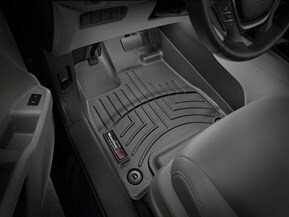 1st, 2nd, 3rd row & Cargo Liners custom-fit for your vehicle to provide absolute interior protection! We now sell WeatherTech Products! See the Parts Department for more information. We now sell K&N air filters! Drop in filters and Cold Air Intakes available. Cold Air Intake kits prices from $ 320.00 to $ 400.00. Please Call 970-506-2795 for more information. Prices subject to change. Valid at Honda of Greeley only. Supplies limited. Parts Made for Your Car: Every Honda OEM is engineered for a specific make and model. Choosing OEM parts helps to preserve the expert design of your Honda vehicle. Manufacturer Warranty: Should there be an unforeseen problem with the part, you’ll be able to correct the issue free of cost thanks to generous warranty coverage — saving you money and keeping you safer. Aftermarket parts don’t come with this Honda warranty. Quality Assurance: Be confident that you’ve chosen a car part that has undergone a thorough quality assurance process when you shop Honda OEM parts. Aftermarket parts, on the other hand, can’t always provide you with the same level of assurance.